It’s been a good 2 years since the release of Diablo 3’s expansion, Reaper of Souls, and it’s been a good 4 since the base game. It looks like Diablo 3 is overdue for another expansion but there hasn’t been a whisper or a whimper about it any time soon. Blizzard’s been in some hot water lately due to the somewhat faltering performance it has had compared to the last half-decade. Their flagship, World of Warcraft, has been suffering in its subscription numbers as of late, Heroes of the Storm hasn’t been doing too well either as it has been almost completely devoured by the shadow of LoL and DoTA, Starcraft is in a perpetual limbo, and Hearthstone is pretty much just being Hearthstone. Oh, and Overwatch, but that’s a different topic for a different time. Now, before we go yelling at Blizzard for seemingly not having anything in the works, let’s remember that Blizzard’s got a lot on its plate right now. Legion for World of Warcraft is coming this year, Hearthstone and Heroes of the Storm Balancing and updates, Starcraft’s odd status on hiatus, and, of course, the recent launch of the crazily hyped Overwatch are just a few of the obvious things that Blizzard has to accommodate. Unfortunately, Diablo 3 seems to be on the back burner for the time being while Blizzard gets their act together. Diablo 3 Items: Where’s the Diablo 3 Expansion? It does seem odd, however, that Blizzard would prefer to prioritize a new IP rather than build up on what is, arguably, their strongest game apart from World of Warcraft. 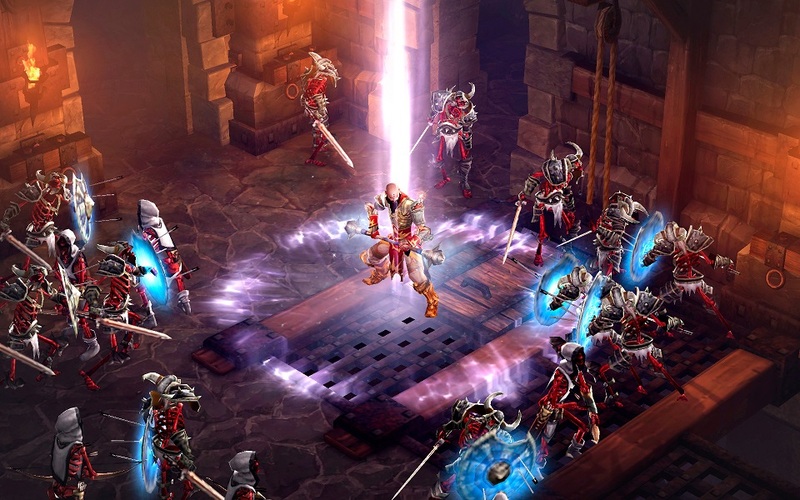 If anything, Diablo 3 has the most capability in getting Blizzard a lot more money. And how, you ask? Well, make another expansion! It’s really that simple. If a new Diablo 3 expansion were put out with all new landscapes, music, a new class or two, and, of course, tons of new Diablo 3 items, then the game would be flying of the shelves even before they get on it. It’s not to say that Blizzard has abandoned Diablo 3, considering that it still gets updates to its content with more dungeons and Diablo 3 sets, but those are pretty much just band-aid content, only enough to fill the void over a month or two. If Blizzard wants to recover from from the last bad 2 years, this is the most sensible course of action.